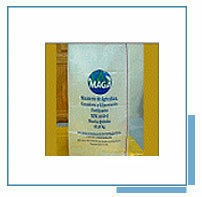 Packaging bags & sacks with liners offer extra protection to materials like fine chemicals, sugar, fertilizers and more. In addition to protection from external elements these also retain product quality & ensure enhance storage life. They are available in sizes & dimensions that meet specific packaging needs of the different industrial segments. Packing of Fine chemicals, sugar, fertilizers etc. With over three decades of experience in manufacturing and exporting premium quality plastic bags, we are the prominent name among the plastics and packaging industries. We have been serving our clients with highly durable and reliable plastic bags of varied sizes and styles. Our entire product range is known for its quality performance and has earned wide acceptance that has led us to attain leading market positions. We are channel partners for M/s ExxonMobil Chemical Asia Pacific. We also import from reputated companies like BAsell. SABIC QAPCO. LG.